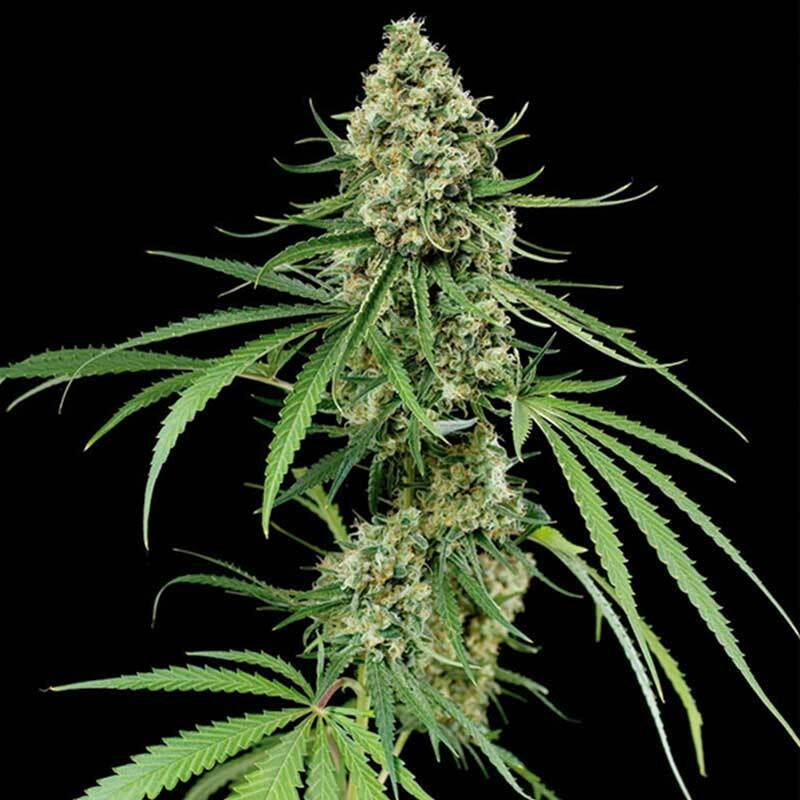 Critical + cannabis seeds by Dinafem Seeds belong to a feminized Sativa/Indica cannabis strain obtained by crossing a Big Bud and a selection of Skunks. The resulting hybrid is a true champion that has been awarded several prizes. Since its official release in 2005, Critical + has achieved outstanding success, first in Spain and shortly after in the rest of the world, as it boasts a delicious lemony flavour and aroma, a unique high and an impressive yield. It grows into a wonderful, fast-flowering, easy-to-grow, vigorous, big marijuana plant that yields large, heavy, compact buds laden with resin. Its massive yield usually requires the use of stakes. Critical + cannabis seed performs well indoors provided you monitor its size so that it does not stretch excessively. Outdoors, it enjoys Mediterranean/temperate climates and the greenhouse. You should bear in mind that this marijuana plant is quite susceptible to moisture and that anti-odour filters might be necessary in order to mask its telltale scent. The flavour and aroma are intense, with notes of fresh lemon. The effect is powerful and balanced, starting with a very pleasant cerebral high followed by a sweet feeling of body relaxation. It is the perfect cannabis strain to enjoy on your own or with your friends.